Gerald Durrell was born in Jamshedpur, India, in 1925. He returned to England in 1928 before settling on the island of Corfu with his family. In 1945 he joined the staff of Whipsnade Park as a student keeper, and in 1947 he led his first animal-collecting expedition to the Cameroons. He later undertook numerous further expeditions, visiting Paraguay, Argentina, Sierra Leone, Mexico, Mauritius, Assam and Madagascar. His first television programme, Two in the Bush¿ which documented his travels to New Zealand, Australia and Malaya was made in 1962; he went on to make seventy programmes about his trips around the world. In 1959 he founded the Jersey Zoological Park, and in 1964 he founded the Jersey Wildlife Preservation Trust. He was awarded the OBE in 1982. Encouraged to write about his life's work by his brother, Durrell published his first book, The Overloaded Ark, in 1953. 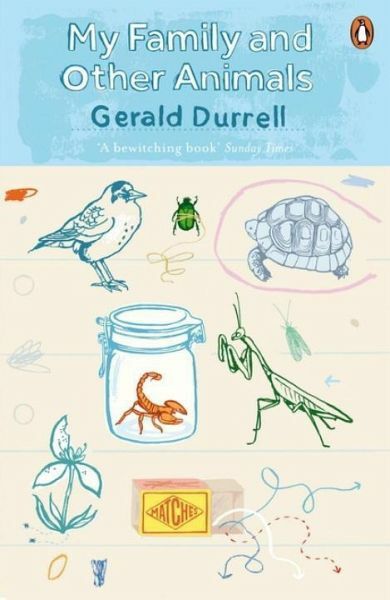 It soon became a bestseller and he went on to write thirty-six other titles, including My Family and Other Animals, The Bafut Beagles, Encounters with Animals, The Drunken Forest, A Zoo in My Luggage, The Whispering Land, Menagerie Manor, The Amateur Naturalist and The Aye-Aye and I. Gerald Durrell died in 1995.